Autumn is a special time for nature photographers. 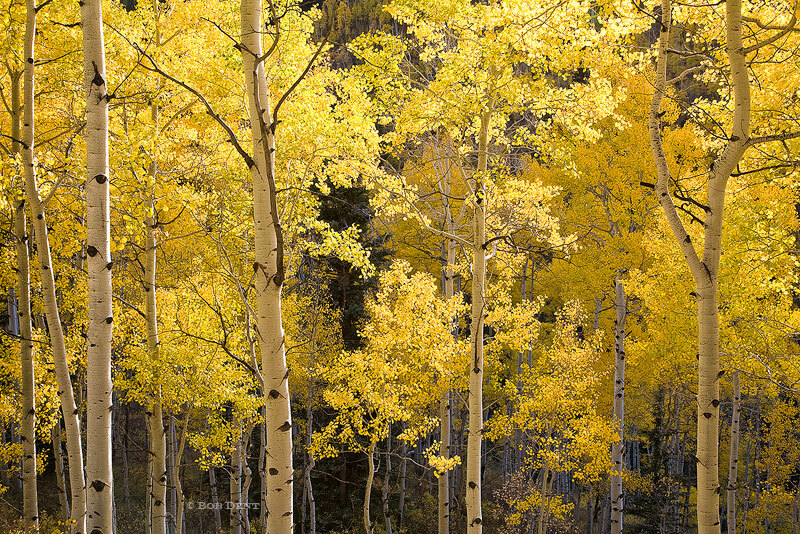 The beautiful colors on display during the fall season can provide a real feast for the eyes. 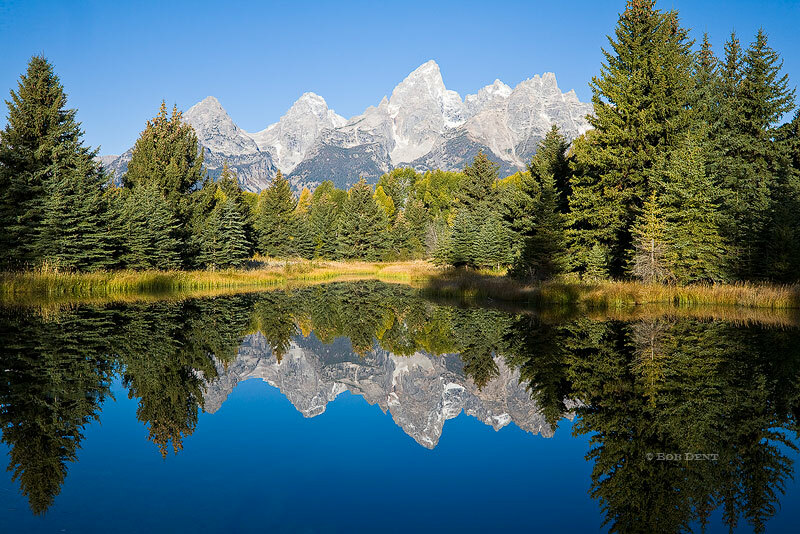 This fall I had the terrific opportunity to spend a number of days exploring Grand Teton National Park, in Wyoming. Most of the images in this gallery are from that trip. I have visited here a number of times over the years, but not for very long each time, and never in the fall. Although the weather could have been more favorable for photography most of the week, I still had a great time exploring and photographing places I had not been before. I also managed to spend a day enjoying the often surreal beauty of Yellowstone National Park. Upon returning home, I enjoyed a few days in the beautiful Elk Mountains here in Colorado. A few images from there are interspersed into this gallery. 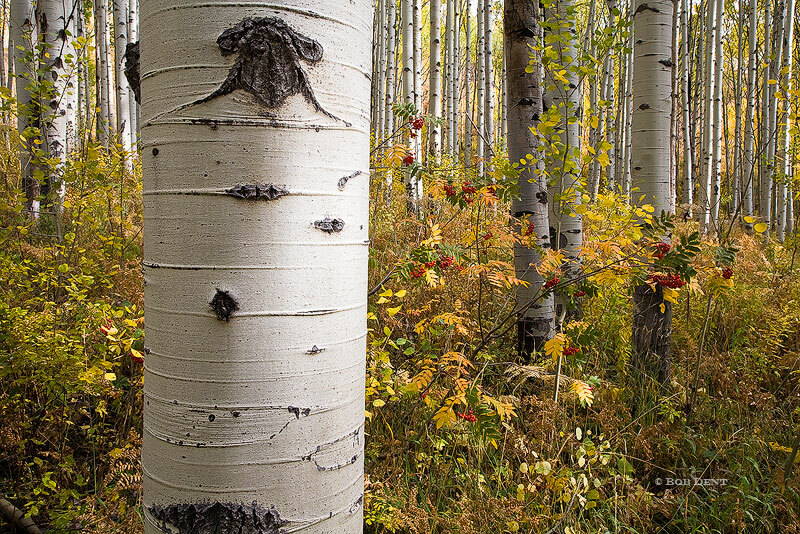 Colorful aspen stand along Castle Creek Road, White River National Forest, Colorado. Photo © copyright by Bob Dent. 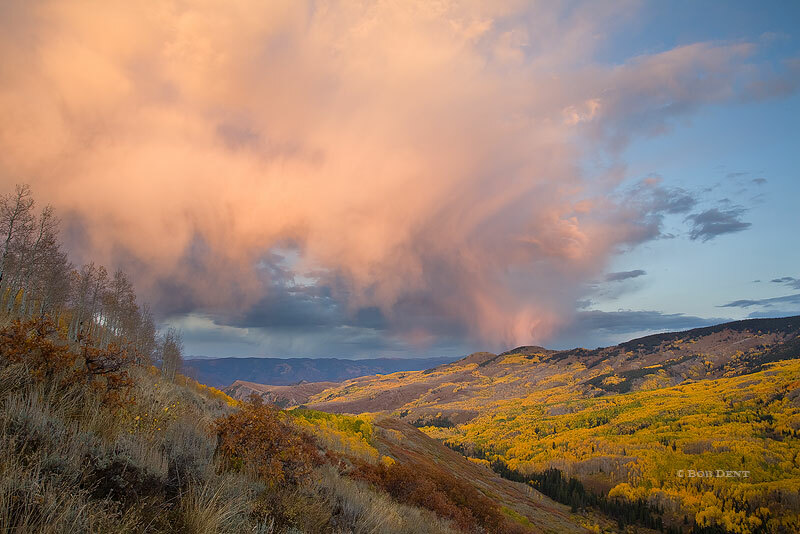 Low clouds bathed in warm light at sunset, above Capitol Creek, White River National Forest, Colorado. Photo © copyright by Bob Dent. 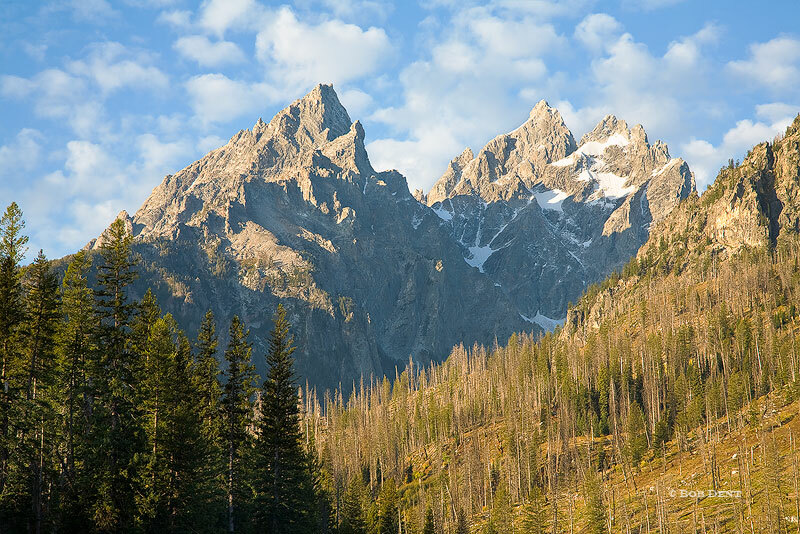 Sunrise light cuts across Schwabachers Landing, Grand Teton National Park, Wyoming. Photo © copyright by Bob Dent. 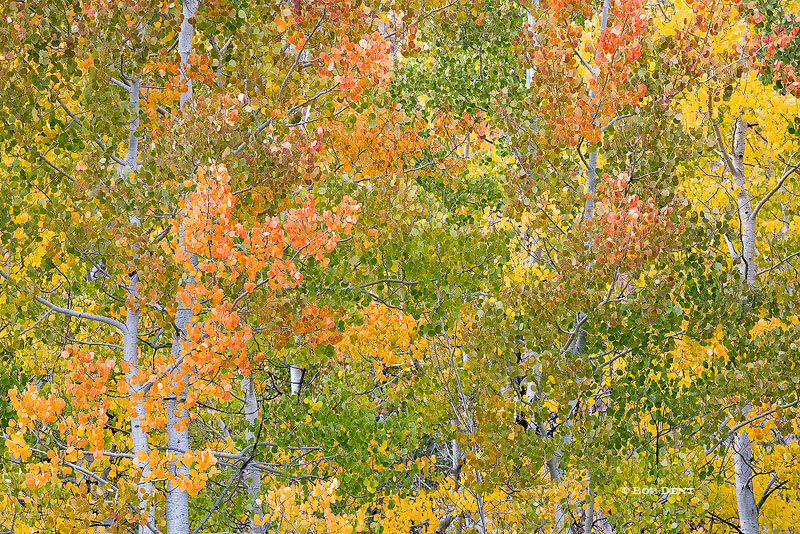 Colorful fall aspens, Grand Teton National Park, Wyoming. Photo © copyright by Bob Dent. 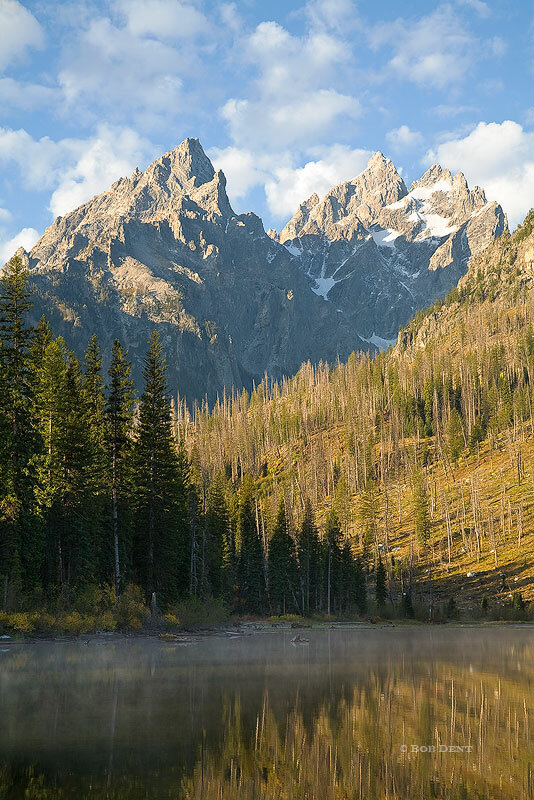 Sunrise light on the Tetons as seen from String Lake, Grand Teton National Park, Wyoming. Photo © copyright by Bob Dent. 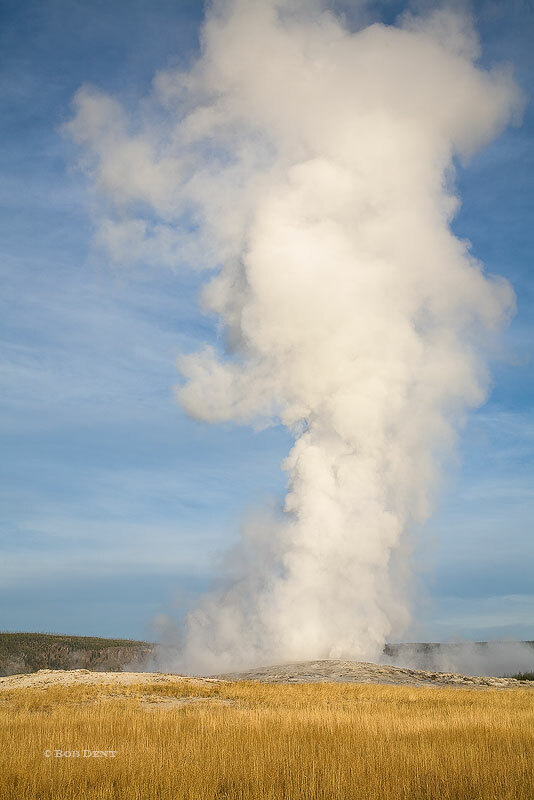 Old Faithful erupting on a crisp Autumn morning, Yellowstone National Park, Wyoming. Photo © copyright by Bob Dent.